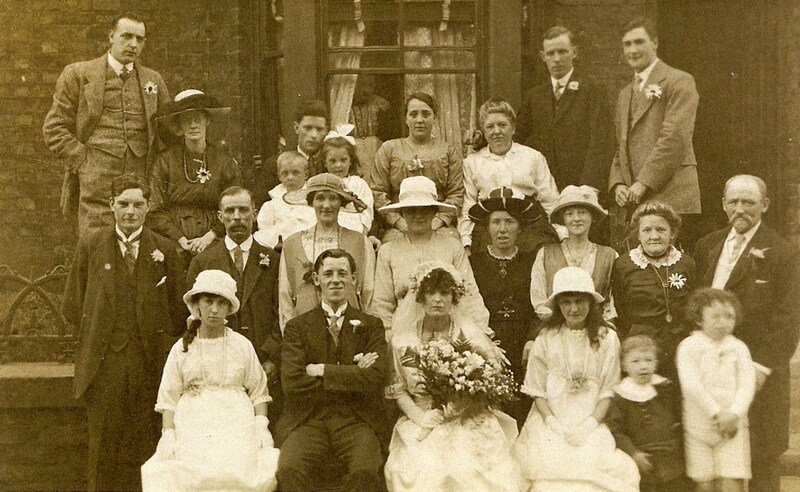 The Marriage of Leonard Brown and Hannah Young, 1920, Liverpool. 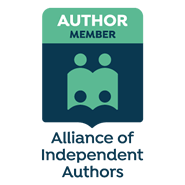 I’m starting a new series – don’t know how many parts yet – on how personal history, family history research and genealogy can be used to boost your creativity and give additional depth as well as a unique ‘flavour’ to fiction writing of any kind, and my own genre of mystery/crime/paranormal in particular. First I’m going to discuss how and why I think people – or at least I – get into family history research. When I first started, I used to travel up to London on the train to visit St Catherine’s House and spend the entire day heaving their big index books out onto crowded desks and trawling through handwritten entries in search of that one person I was trying to locate. The sound in the halls was like the buzzing or humming of bees in a hive – constant, low-level busy-ness, occasionally tinged with irritation. After heaving indices in and out of the shelving and cabinets for hours, often all I had to show for it was one reference to a birth of someone that ‘might’ be my ancestor – and I wouldn’t know if it was the right one until I had paid for my certificate and waited a week or two weeks for it to arrive in the post. I have a whole batch of ‘strays’ – people who turned out not to be the object of my research – same name, same age, but from totally different family a mile down the road. (But their stories, too, intrigue me.) It was slow and painstaking work. Sometimes you had to wait, tapping your fingers on the desk, until someone else stopped daydreaming their way through ‘your’ book and put it back on the shelf – because there was only one for each quarter of each year for each part of the alphabet – and if you were searching for a Mr Brown – especially a J or S or W – you might as well go and get some lunch and try again later. But – finding the person you had been looking for for a long time – tracking them carefully through parents, grandparents, siblings, marriages, burials and christenings – in the moment you KNEW you had found that person – resulted in a euphoric flood of excitement. On more than one occasion I heard someone shout ‘yes!’ or ‘finally!’ and we all smiled and just went on with our searching – we knew how they felt. There was a kinship in the searching. Now it’s all so different. You spend ten minutes online and you’ve got three or four generations all off pat. Of course for many that is all they do – nothing is verified, checked or proved – they just appropriate whatever seems to fit in with their ideas of their family. If you can pay the subscription to the various online resource sites, you can have endless materials at your disposal within minutes. For me that’s not really ‘family history research’ but for many, it’s enough. Why do people want to know about people who they may have never met, who may have no influence on their life, be nothing but a shadowy figure in an old family album? And true, for some people – many – knowing about their ‘roots’ is not important at all. For others, it provides them with a sense of self, of who they are, of the evolution of their kind and the world around them, the development of their own identity over the course of generations. For some people, myself included, they may feel more confident about who they are, they may feel they can relate to a world filled with other people all with a history, a lineage, similar to theirs. They may feel a sense of shared experience, even kinship. Family history can be seen as a kind of skeleton to hang on life experiences and events, to create a balanced outlook and, hopefully, an accepting, caring attitude to others. Also, some people (like me) are just plain nosy. Others are looking for explanations for why things are the way they are or for the truth behind events or feelings, or for resolution or closure. NEXT WEEK: I will be looking at some of the different types of resources available to the family historian – and therefore – available to the writer. I’ll give you a clue. Look at the top of this blog. Hi Caron, this is quite a change and interesting too. I’ve been doing family research for a few years. Of course it’s all in England and I’m in Oz, so I’ve had to depend on Ancestry and other sites. Although anything back to 1832, I think is easier to confirm with government docs. I have a little collection of birth/marriage and death certificates. A lot of my mother’s people came from around Liverpool. I was looking at the wedding photo, the woman in the top left hand side in black. She would have to be related to the bride, who doesn’t look too happy at all. Although the groom seems quite chuffed. 😉 Looking forward to next week. Did you see what I did there? I nicked your idea of a part work! I see that and it works. If the reader is interested then they come back the following week, wanting to see how the story goes. It works for me. 🙂 I enjoyed your post, so I nipped over to Ancestry and checked to see if I had any relations named Brown or Young. Nothing.